Soap is the word that comes into our minds when we hear of laundry, and we cast our minds to those old days when we were young. This is the time water, and soap was the greatest enemies ever. However, we get to adapt as the clock ticks. Laundry detergents have come a long way following the introduction of the first soap. The first laundry detergents were introduced in the 1950s and were offered for sale in the market. This was the greatest move in the laundry service for most homeowners. Laundry detergents are available in different forms i.e. there are powder and liquid detergents. Both types of laundry detergents have similar cleaning powers only that it depends on your choice and preference. Water alone cannot clean your fabric. You need detergents to remove grease on your favorite T-shirt or jeans. Water molecules tend to attach to one another (cohesion). Similarly, grease molecules on fabric tend to attach to one another. This is why water alone cannot remove grease from a piece of clothing. Detergents contain surfactants. These surfactants have two different ends of which one end strongly attach to the grease molecules, and the other end attach to water molecules. The mixing of water, grease and surfactants tends to create a tumbling motion. This causes grease or any other dirt molecules to break into smaller pieces that can be removed easily from your piece of cloth. As you rinse your clothing, the water molecules tend to move past each other and in the opposite direction. The water molecules finally pull the dirt together with surfactants away from the fabric. During your last spin, the dirty water that has mixed with dirt is then flushed away, and your piece of cloth is left sparkling clean once more. The surfactants are designed in a way that it keeps the removed dirt in the water and prevents it from re-depositing on the cloth again. Some of the known surfactants found in detergents include alkyl sulfates, ethers of fatty alcohols and alkyl ethoxylate sulfate. Non-ionic surfactants work pretty well and offer best cleaning results in case you are using hard water. Different laundry detergents have been formulated to work best in certain temperature conditions. These are normally labeled against each detergent that you buy, and you can be sure to read it before using. Moreover, detergents come at different prices. The less expensive detergents contain less active enzymes, unlike pricey detergents. Ideally, it is critical for you to check the ingredients available in any detergent you buy as this affects the final cleaning results. The Laundry Center uses only the finest and safest detergents to make sure your laundry comes out ultra clean and smelling great. Go ahead and schedule a laundry pickup online now. Do Laundry Delivery Services Wash Underwear? Who washes your underwear? Granted, that’s not the kind of question that usually shakes the core of Western Civilization, much less brings it to its knees, but when it comes right down to it, it’s an important matter to think about. After all, you live a busy life, and somewhere in the course of all your things to do you have to do, you have probably enlisted the services of a professional laundry service to take over the chore of cleaning clothes. So why are you still cleaning your own underwear? Why is it that most people don’t think of having a professional service clean their underwear, right along with everything else? If you are like many people, a professional laundry service has been a great investment of time and money for you. And as a result, your clothes are returned, cleaned and pressed, all ready to help you make a great impression for work as well as the rest of your life. Why should your underwear continue to nag you to take up a good portion of your time? The answer is, it doesn’t. Maybe it’s a gender thing, or maybe it’s a matter of politics, even though it’s pretty easy to assume that nobody has done a survey on the subject, but it’s a popular sentiment that is most often promoted by mothers that nobody should see your dirty underwear. Somewhere along the line, everybody learns that it is somehow shameful, laughable, and disgraceful to have dirty underwear, especially if you’re a girl. If you’re a total screw-up you were often referred to as a “calzones cagados,” or loosely translated, a “skid mark.” And, God forbid, somebody would see it. Even worse, you might be considered a traitor to the family name if you allowed someone else to clean it. However you might lean politically on this subject, the fact remains that when you receive your clothes they are all cleaned, pressed, and neatly folded, tightly enclosed in a rectangular plastic prism. Why should your underwear be different? Why not avoid having to deal with mounds of dirty underwear, skid marks or not, to drop everything off so that when they return everything is returned, neatly folded, according to size and gender, like magic. If you think all of this is part of a dream, think again. At The Laundry Center of NYC, not only can you have the cleanest chonies in the city, and possibly the planet, at the swipe of a debit card you can have everything cleaned, pressed, folded, picked up and delivered to your door when everything is clean as it can possibly be. Is Your Laundry Expense Tax Deductible? Look sharp, be sharp. Everybody knows that, but the way some people dress today, you have to wonder, especially when they fail to deduct at least a portion of what they might pay to achieve those results. In fact, a recent court ruling gave at least a little more clarification for those who might want to consider their taxes the next time they go to the laundry. In that ruling, the court disallowed thousands of dollars in deductions taken by a news anchorwomen who purchased clothing for use while on the air. Unfortunately, the court determined that the clothing in question was appropriate for her wear whether she was working or not, which caused it to be disallowed. Under the current tax code, the costs of clothing as well as related expenses such as laundry fees are deductible as long as the clothing cannot be used for purposes other than work. This would include uniforms and other types of specialty clothing. Although in some cases this separation might be difficult to pin down, it can be done. For example, if a police officer has his or her uniform cleaned, that uniform would not be considered appropriate for “everyday use.” As a result, it would be deductible. On the other hand, if a police officer attempted to deduct the clothing used as an undercover officer, it would not be considered deductible since it could be worn in an everyday setting. And this is where it might get murky, since if an undercover officer were to pose as a prostitute, with the standard “unusual” garb, that is not considered “appropriate” for everyday wear, it’s back to being deductible. When a piece of clothing is not suitable for wear in everyday use, outside the work environment, the IRS says that upkeep costs such as laundry expenses can be claimed as an unreimbursed business expense on Schedule A. The costs of cleaning other types of clothing such as nonprofit uniforms, for example, those for use of hospital volunteers, Boy Scouts, Girl Scouts, and others are deductible. In these cases, however, the costs of cleaning these items would be considered a charitable donation, which would also be claimed on a Schedule A. Although The Laundry Center of NYC does not dispense tax advice, it does offer some of the best cleaning services available anywhere. And if you are in need of commercial laundry services, then your in luck because our wholesale and commercials laundry services are tax deductible in instances mentioned above. As a result, whether cleaning expenses are deductible or not, The Laundry Center of NYC can not only get your clothes the cleanest they have ever been, they offer free pick up and delivery as well. And if you happen to be a police officer posing undercover as a prostitute, you’re on your own. There probably aren’t many people who can’t remember with a certain fondness the days of being in college or single, when doing the wash meant dropping a few things into the washer and you were set for the week, and depending on how you lived, maybe even for the month. Not anymore. Today, depending on how how family has grown over the years, your laundry has probably grown exponentially. What was once a chore that took a couple of hours–maybe–now is a Duggar family-sized undertaking. This article will show you how to go from one extreme to the other. * Do it small. The old saying, “By the inch, life’s a cinch. By the mile, it takes a while,” certainly applies to laundry too. 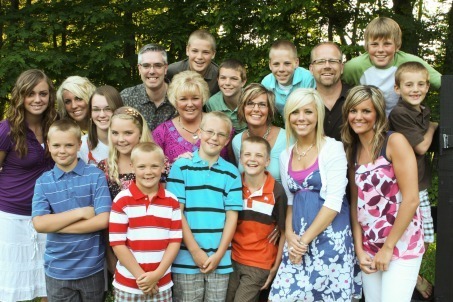 Whenever there’s a large family involved, everything takes longer. This includes laundry. As a result, you should take a careful look at your laundry chore, and whenever possible, break it down into smaller pieces, then pick a time when you can finish just that portion. This will inspire you to keep going for the rest. * Schedule the laundry. You schedule everything else in your life. Why not laundry too? You could set aside time on one day for whites. Another day for colors, etc. There are a multitude of ways to break this task down to manageable parts. This will get the job done, leaving time before and after to do other things. * Get help. Things are usually more pleasant when you have someone there to talk to, especially someone who speaks in multi-sylable words. Why not call a friend to help or just to keep you company while you are doing laundry? Not only will you get the job done, but you will do it in record time. And while you’re on the subject of getting a large family’s laundry done, it’s worth noting that there is help available, and it will even come to your door to make sure it’s easy for you. One resource is The Laundry Center NYC, which picks up and delivers your laundry, no matter how much you have done or where you are. The Laundry Center NYC will not only save you time, but rest assured it’s probably going to save you money as well. The Laundry Center NYC is a full service facility that can take care of practically everything on your laundry list and back to you fast. With the opportunities that stores, especially the so-called “big box” stores, provide to save money on quantities for items such as laundry detergents, the question quickly becomes, “Do laundry detergents expire?” After all, buying a large quantity at one time does save money, but if it goes bad or loses its effectiveness, what’s the use of saving money on it? Well, for those enquiring minds who want to know, laundry detergents don’t spoil or “go bad” in the classical sense of the term. They can, however, lose their effectiveness. And as far as maintaining their form, that’s a different matter entirely. Laundry detergents come in three general forms, liquid, powder, and individual use packets. Their differences are excellent when they are chosen for how we like to wash clothes, but the way they react over time is much different. And while almost all detergents have a “best when used by” date, that time frame should be used as a ballpark figure and not a hard and fast rule to get rid of it. Any detergent product should not be used if it appears in a form different than when purchased, but as a rule of thumb, don’t use them after nine months to a year after the use date. Powdered Detergents. Powdered detergents tend to break down significantly over time. This is especially true when they are exposed to moisture. 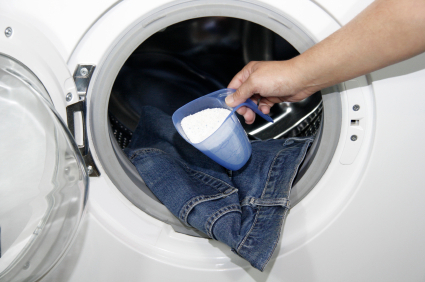 Moisture causes powdered detergents to clump and get lumpy. If this happens to your detergent, but it is still within the use date, just give the container a good shake to break up the lumps. Once powdered detergents get old they tend to leave deposits on your clothes. And unless you plan to start some kind of fashion trend, best to throw out these products. Liquid Detergents. Liquid detergents have a long shelf life unless they are exposed to extremes of temperatures. When this happens, they get lumpy and should not be used. Single Use Products. For convenience, single use products are great. There’s no measuring or mess, and the polyvinyl film is made to dissolve quickly once wet, but therein presents a problem. Just as is the case with other laundry products, the use by date should be watched, but if the polyvinyl films get wet, they will stick together and become practically useless. If this happens, it’s best to throw them out. Bleaches. Bleaches, no matter whether they are liquid or powder, should be thrown out within six months after their use by date. The Laundry Center always uses the freshest and safest laundry detergents to make sure your clothes come out smelling fresh and looking clean. Do you have something you need to wash like really quickly? Would you rather someone see you before they smell you coming? Perhaps hand washing your laundry is a good, quick alternative to the standard. If that’s the case, here are a few points to hand wash your laundry. 1. Sort your clothes. Just because you’re going to hand wash doesn’t mean you can still load everything together. You should still separate your darks from whites and wash them with their own. 2. Get your water ready. Ideally, you will need two tubs of water. One for washing, one for rinsing. If you only have a single bowl or a tub, that’s okay. You’ll just need to change your water between steps and adjust the temperature between them. 3. Add detergent. You will just need a tablespoon or two, and a liquid detergent works best. 4. Soak your clothes. Place your dirty clothes in the water. Allow them to soak 10-15 minutes before you rinse them out. 5. Wash. Using your hands or a pole, work the clothes around to loosen the dirt and grime. 6. Wash the dirtiest sections. 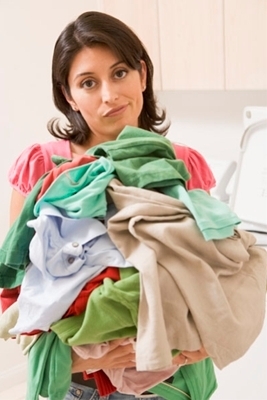 Certain clothes such as work clothes and underwear have portions that are extra dirty or full of odor. Add a bit more detergent to these area and work it in with your hands. 7. Rinse. Using a second tub of water or fresh water in the original tub, rinse your clothes to get as much of the soapy water out as possible. 8. Remove the water. After you have finished this rinse, and if you are pretty confident that you have gotten them clean, you need to dry them. It’s hard to get them dry when they are sopping wet, so gently squeeze them to remove the excess water. Don’t wring the fabric, since doing so tears fine fibers. You can also lay your wet clothes out on a clean, dry towel instead, to absorb water before you hang them up to dry. 9. Hang them up. If you plan to hang your clothes up to dry outside, turn them inside out to prevent bleaching by the sun (with the exception of whites). Drape them over the clothesline and pin them in place with clothespins. Depending on the temperature and humidity levels, your clothes should be dry in a few hours. On second thought, if the idea of being hunched over a tub of water washing your clothes like Cinderella, and having dishpan hands doesn’t appeal to you, schedule a pickup online now with The Laundry Center. They’ll probably do a better job and, besides, the money you left in your pockets during the wash will probably pay for it anyway. Every cloth comes with a special tag that gives instructions on what should be done and what shouldn’t be done with the cloth during a laundry service. For instance, the tag will say something like ”dry clean only”, and that is exactly what you should do. On the other hand, if it says ”dry clean”, you can generally wash with hands safely. If the tag indicates an ”X”, then it means you should keep it away from anything spinning regardless of the temperature. Lastly, ”air dry only” means the garment should sit in the air to dry, and not otherwise. Hand-washing is a basic skill that everyone must learn. It starts with a simple basin filled with a mixture of lukewarm water and mild detergent. Once the cloth is submerged, you should gently swish from side to side for 5 minutes roughly. Don’t be vigorous with scrubbing, even if you spot a stain. There should also be enough water sluicing around the fabric as the washing goes on. The moment your expensive garments catch stains, they should be pre-treated immediately. This will prevent the stain from working its way into the deeper fabric of the garment. And when you wash such a cloth, the stain will instantly come out, even with a short, effective wash. If you’re dealing with organic stains, i.e. stains coming from blood, fat, proteins etc, you should use lukewarm or cold water. But if the stain is inorganic (stains coming from oil or dirt), you should use warm water. The right way to do this is to dab the water from behind the stain surface, then set the cloth face-down on something like a paper towel. This way, the stain will naturally leech away from the fabric. If the garment is dirty and stained at the same time, you can soak it for a few hours under room temperature. Soaking means immersing in water and giving the cloth some time so the stain can grow weaker. Any treatment that will be applied afterwards will make the stain disappear quickly. Most delicate clothing, whether hand-washed or machine washed will need natural air to dry rather than being tumbled in a hot air drier. If the cloth is too delicate, lay it flat outside instead of hanging on a cloth line. Also, make sure you turn it over every half an hour to ensure uniform drying. With those tips, you can comfortably and safely wash your expensive garments. However, if you’re still not sure, it doesn’t always harm to use our NYC laundry pickup and delivery service. We offer the best laundry service around, so don’t hesitate to have your most expensive clothing washed professionally. Cleaning Your Clothes: Which Detergent is the Best? “Rub a Dub, Dub, Three Men in a Tub” might make for a charming nursery rhyme, but when it comes to real life, there’s a lot of room for doubt about how clean their clothes got. When it comes to cleaning clothes, you have a lot more control than you think. As any mom can testify (at least those from the Leave it to Beaver era) the detergent makes all the difference in the world. Making a pick from this list of the most popular brands might not lead your neighbors to calling you Mrs. Cleaver, but at least you won’t have Eddie Haskel to contend with. All. All is considered one of the smallest but mightiest detergents on the market with an 11 percent market share. Not only is this concentrated formula available in two sizes, 64 and 32 ozs., but it’s also available in a variety of scents to keep everybody happy. Arm & Hammer. This is another concentrated formula that’s available in two sizes as well as two fragrances. Arm & Hammer owns an 8.25 percent market share. Cheer. Cheer, a Proctor & Gamble product, is another one that has several formulations that keep everybody happy, high efficiency as well as standard. Colors are well taken care of with this formula with two different types for these alone. Gain. Gain is another Proctor & Gamble product that comes in a variety of formulas for different washer types as well as different uses. Method. Going green? Method might be your best, well, method. This one is a thrice concentrated formula that boasts being biodegradable and is phosphate-free. Want an extra boost? You can use Method to pretreat your toughest stains too. Purex. With a 12.5 percent share of the market, Purex is one of the big boys of the detergent world. This should come as little surprise, considering it’s a member of the Dial Corporation family. With both conventional and high efficiency formulas, Purex also comes in a variety of scents and sizes. SA8. Produced by Amway products, SA8 is a concentrate available in standard as well as high efficiency formulas. Seventh Generation. Seventh Generation is yet another in the “green” category of detergents. Not only it is available for standard as well as high efficiency formulas, it’s a cleaning powerhouse as well. Tide. 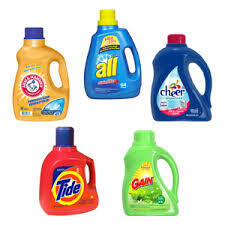 Of all the detergent big boys, Tide is the biggest of the big boys, with more than a 28 percent marekt share. Along with its sister product, Gain, Tide is available in concentrate form which gives you double the number of cleaners for the same price. Want a bonus? 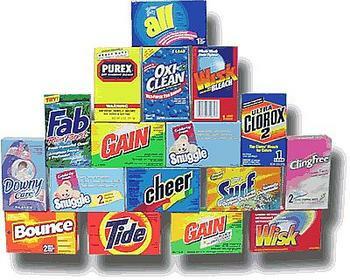 The maker of Tide and Gain also offer a number of other detergent products, each with their own specialties. At The Laundry Center, we are committed to returning your wash to you not only when and where you want it, but in a condition that will remind you of the time when your mother did it. 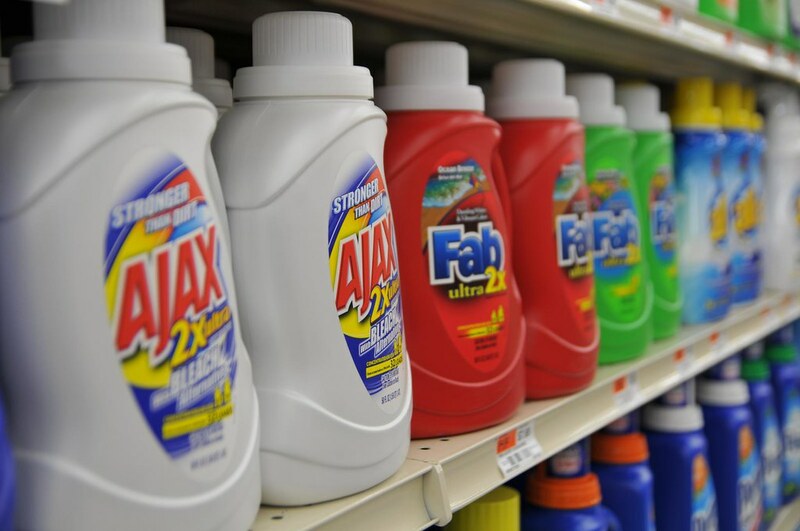 When you call The Laundry Center, we use any of the detergent products that you would use on your own laundry. It’s part of the personalized service that has made us a household name. Time is valuable. Everybody knows that. 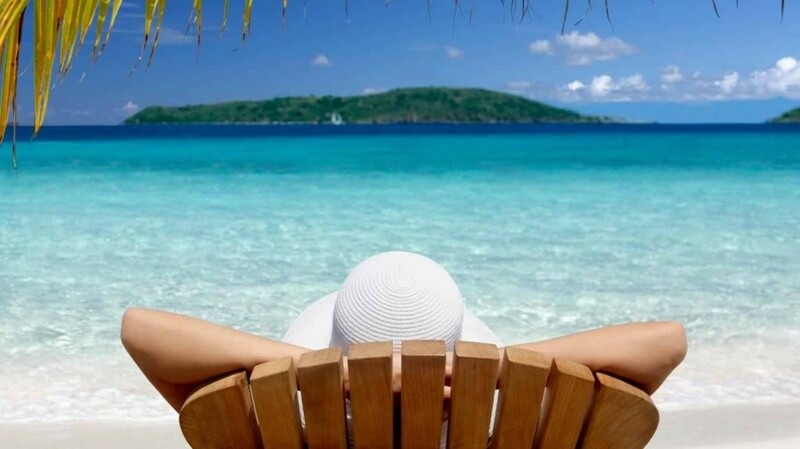 The trouble is that whether you’re wasting time or even spending it doing things that don’t pay returns, you will never get that time back again. Anything having to do with your laundry could easily be added to this latter category. On the other hand, having laundry that is clean and pressed shows the world that you have value and you have something important to contribute. This is a paradox that nearly everyone faces, often many times in their lives. The good news in this is that with The Laundry Center you can have the best of both worlds. Not only will you eliminate the need to clean and press your laundry, but it can be picked up and delivered where and when you need it. At one time or another, probably everyone has faced the situation of not having something clean to wear. You either totally forgot that you needed to clean laundry or kept putting it off doing other things. Regardless, you didn’t have something clean to wear when you needed it. From now on, these problems can be a thing of the past with The Laundry Center. The fact that you need to get some laundry clean can be a thought that can occur at nearly any time. It can happen at the office, while you’re driving, at home, nearly anywhere and at any time. You probably don’t have time to do it when you think of it, but you could get it done right then, regardless, by calling or sending an email to The Laundry Center. It’s that easy. Just place a call or send an email, and a representative of The Laundry Center will show up when and where you specify. And when you’re laundry is done, we will deliver it to you, at no charge. Wherever you are in Manhattan and the surrounding service areas, The Laundry Center offers free laundry pickup and delivery wherever you are. And it’s only $1.25 a pound for your clothes to look and smell better than they ever have, and certainly at these prices. Even if you are outside of our service area, call us. Chances are good that there are other businesses in your area that need our services, and we can include you too. We are the largest commercial laundry in the area, with clients that run from hotels, schools, medical offices, and much more. The Laundry Center wants to be your laundry go-to also. Laundry. Just like death and taxes, it’s something you will always have with you. Fortunately, just as is the case with death and taxes, laundry is one of those things that are easiest handled with a little planning. With a little forethought, doing your laundry while traveling is easy. This article will show you how. As for the death and taxes, you’re on your own. * The Aloksak Method. Get a large heavy duty ziplock bag. As you take off your dirty clothes, this bag becomes your washing machine. When the bag gets full, but not too full, fill it with water and a pinch of soap. Zip it closed and let it soak. From time to time, jostle the whole bag to mimick the action of a washing machine. Then let it soak a few minutes more. When this is done, open it up and squeeze out the water. Refill and empty again to rinse. Now take everything out to dry. Author John Steinbeck recounts his similar method in his famous travelogue, Travels with Charley, in which he used a covered bucket that he filled with dirty clothes, covered with water, and let the motion of his moving camper “jossle” his clothes clean. * The Wash Sink Method. If you will be somewhere that there’s a sink, you can bring a universal stopper with you (it looks like a mini-frizbee), cover the drain, then fill your sink with clothes and soapy water. Next, knead your clothes in the water just like you would dough for a pastry, allowing your motion to clean your clothes. * The Commercial Laundry Method. Practically anywhere you go there will be a commercial laundromat, more or less. It’s “more or less,” because as you are probably aware, many of these are not quite what they should be. Fortunately, these are good stop-gap measures for getting your clothes clean while you’re on the go. Although some of these leave something to be desired in the cleanliness department, most are pretty well complete when it comes to the essentials of washing clothes, with washers, dryers, soap, and areas to fold everything. * The Wash Lady–or Man–Method. In some areas, there are businesses that have people who will clean your dirties for a small fee. A lot of hotels have these folks too. Hand them your clothes, along with when you need them back, and they will come back clean as a baby’s bottom. Well, you get the point. If all else fails, you can use the astronaut method, wearing your clothes until they fall apart or walk away on their own. Using this method, there’s no guarantees that you will have friends left when you’re done, but hopefully your travel adventures will compensate for that.